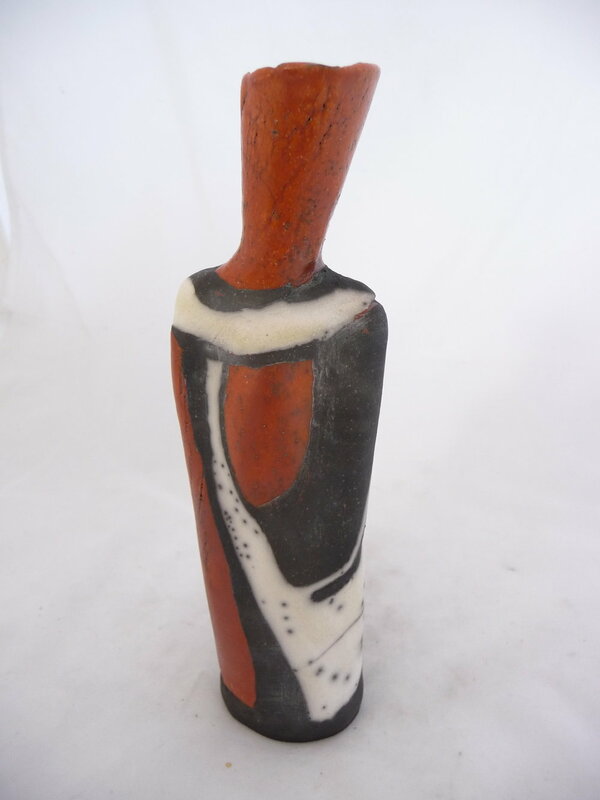 Rodney Lawrence is a highly skilled, original and distinctive potter. He sets out to raise the spirits of the onlooker, reflecting the humorous and optimistic side of life. Above all, his pots are designed to be fun. Rodney works in stoneware, producing both wheel-thrown and hand-built forms, with varying textures, slips, glazes and colours. The decoration is performed using an ancient, detailed and time-consuming technique, known by the Italian name ‘sgraffito’. Each piece is the result of many hours’ work. Jamie takes a great deal of his inspiration from walking down the many hidden pathways of the English landscapes and enjoys depicting the tranquillity and beauty of the English countryside. Coastal views, riverside walks and changing weather, lead him to use a variety of materials including pressed foliage, textured card, papers and fabric that add tactile qualities to his paintings. Jamie is constantly in search of the moment, memories and the stories that we associate with our ancient land. Using his fingers, palette knives, brushes and rich colours in acrylic paint he connects to the landscape in a very physical way which can be seen in his work. Jamie also makes collage works using printed paper words as his medium which he calls "text paintings". Poetry, diary entry's, and names have been use to make these detailed and realistic portraits which tell the viewer a story about the subject depicted. After graduating from Newcastle-Upon-Tyne Polytechnic with a BA Honours degree in Designer Craftsmanship, Penny began to develop her interest in pattern and its application to jewellery by making work that used patination on the surface of non-precious metals such as copper and brass. Since 1994 she have been designing and making jewellery in the Rosehill Workshop in Brighton, Sussex, and has been specialising in hand-dyed aluminium since 2001. The attraction of this material in its use for jewellery is primarily about making permanently colourful accessories without using gem stones, but it is also an incredibly light metal making it easy to wear, and the diverse range of colours achieved whether bright intense blues, pinks and turquoises or soft subtle greys, greens and lavenders has an eternally powerful appeal to the wearer. Penny’s designs are inspired by land, sea, and skyscapes.